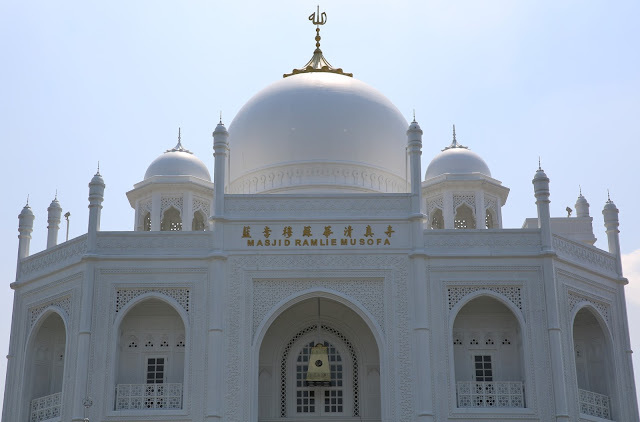 Ramlie Musofa Mosque was established in 2011 on land of 2,000 m2 with a capacity of 1,000 worshipers. With total of 4 floors entirely, the design itself is inspired by the Taj Mahal in India. What makes interesting is that this mosque has no loudspeakers. It was just inaugurated this May 15, 2016 (Sunday 7 Sha'ban 1437 H) by Pak Haji Ramli Rasidin and Prof. Dr. H Nasaruddin Umar. Location: Jl. Danau Sunter Raya Selatan Block I / 10 No. 12C - 14A, North Jakarta.